Celeb Gossip News – Jack Whitehall parents: Who are Jack Whitehall's parents? 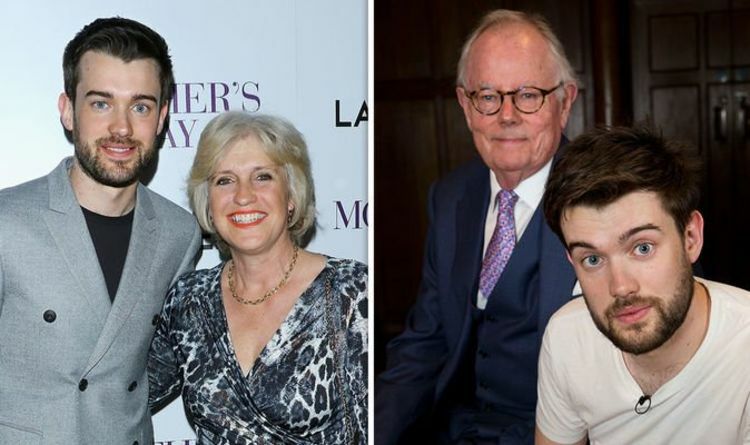 Jack Whitehall parents: Who are Jack Whitehall's parents? Jack Whitehall is currently preparing to go back on the road once more, with a new comedy tour approaching. His incoming stage appearance will follow a host of television shows, including blockbuster comedy Bounty Hunters. Tonight, he is rubbing shoulders with film stars and rappers in today’s instalment of Jonathan Ross, promoting his latest tour. Who are Jack Whitehall’s parents? Jack Whitehall is a famed family man, who has involved his parents in a number of his shows. His mother Hilary Amanda Jane Whitehall and father Michael John Whitehall are both titans of showbusiness. His father has notably appeared in a number of Whitehall’s shows, including Jack Whitehall: Travels With My Father. READ MORE: Who is Jack Whitehall’s girlfriend? Before appearing with his son on television, Michael Whitehall was well known as a television producer and actor’s agent. He started out producing shows such as royal drama Bertie and Elizabeth, and crime series Element of Doubt. As a talent agent, Whitehall has represented Judi Dench, Colin Firth, and EastEnders star Leslie Grantham. Aside from his career on screen, he also wrote the book Shark Infested Waters: Tales of an Actors’ Agent, which was illustrated by Jack. READ MORE: What is Jack Whitehall’s net worth? There is little information about Jack Whitehall’s mother Hilary, but according to her IMDB page, she has been in a number of TV shows and films as an actress. Most notably, she was Claire Dyer in The Bill and had regular small parts in sitcom Miranda. Mrs Whitehall also took roles in Whitehall’s Bad Education, where she played Mrs Carmichael and appeared as herself in Walliams and Friend. Jack also has godparents, in two incredibly famous TV and film stars. Jack’s two godfathers are Nigel Havers and Richard Griffiths, both long-adored British actors. Nigel Havers is well known as an actor in both TV and film, most famously on Chariots of Fire which earned him a BAFTA for his performance. Richard Griffiths was famous for his roles in a number of blockbuster films, playing Vernon Dursley in the Harry Potter series, and a BAFTA-winning role as Hector in The History Boys. Griffiths sadly died in 2013 at the age of 63 after complications from heart surgery.